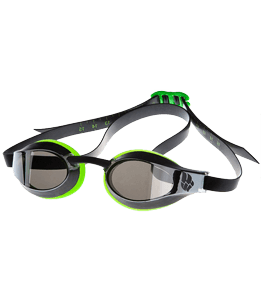 The improved hydrodynamic properties and low-profile design of Streamline goggles ensure maximum gliding efficiency in the water with minimum resistance. The goggles are fit with a double strap and a low-profile face seal that ensure their safe staying in place during diving. The lenses have a special anti-fog coating and UV 400 protection. 3 interchangeable nose bridges are enclosed. Mad Wave offers lenses with a wide dioptric range (from -1.0 to - 9.0). Lenses are provided separately. Mad Wave's FINGER PRO have been designed to help build upper body strength and improve stroke technique. Extra-durable. Ideal for regular training in the pool. Feel unstoppable with Mad Wave's range of TURBO RACER Goggles! A hydrodynamic, low profile design will minimize drag in the water and boost your speed! Comes with changeable nose bridge and advanced UV and Anti-Fog protection. +patriotic, comfortable, suitable for training. for training the most it, does not press, oblegaet and slips. I purchased it as a start-up. Suitable for those who do not like the feeling of "squeeze".